Did you know that Australia has one of the highest rates of skin cancer in the world? Or that two in three Australians are likely to be diagnosed with skin cancer by the time they’re seventy? Or that sun exposure in the first ten years of life plays a large part in determining your lifetime potential for skin cancer? Pretty scary stuff right? The good news is that we’re here to help. Bedhead Hats is committed to helping parents instil sun safety habits in children at a young age by providing them with the most comfortable, high quality protective hats on the market. 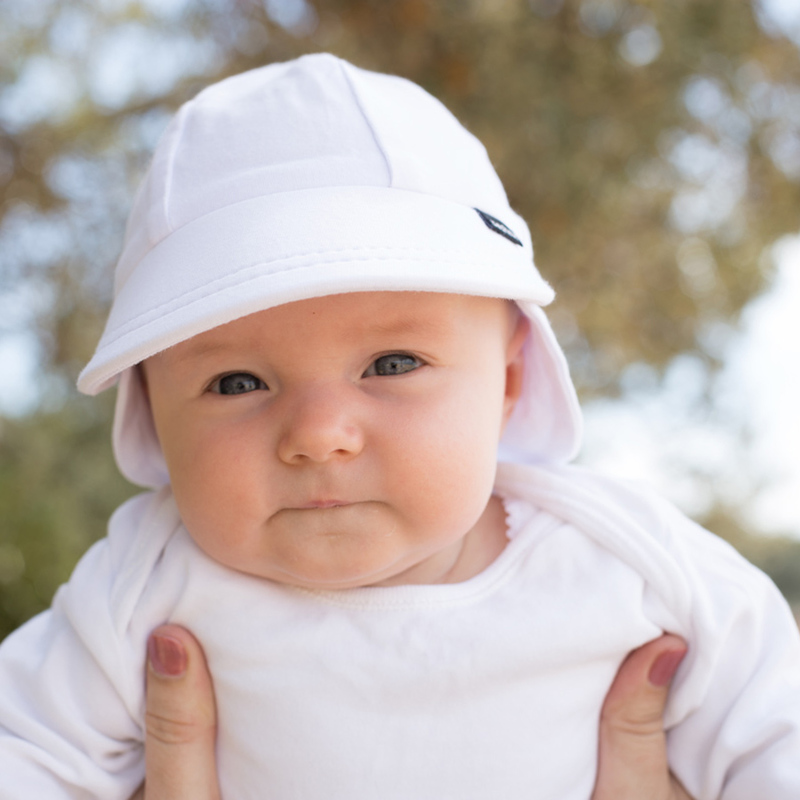 Our hats protect children from the harsh effects of the strong Australian sun and we love to give parents the tools to get babies comfortable wearing hats from birth. But you already know that – you’re here right! We believe that familiarising baby with wearing a hat from birth will lead to a toddler, child and even adult that reaches for a hat as they grow older. As a parent, you only want to do the best for child, but sadly, for some mums and babies, their every day needs in protection are far greater than sun-safety. So we developed the ‘Protect the Potential’ initiative. Throughout Spring/Summer 2017, we gave $100,000 of sun hats to babies needing them the most. The ‘Protect the Potential’ initiative is our response in aiding those less fortunate than ourselves. We wanted to get our lovely customers involved so when they bought hats for their family, their purchase helped to protect another little one in need – starting their sun-safety journey. We trusted our customer’s big hearts to GIFT a newborn hat on our behalf to a friend doing it tough, a family member down on their luck or a stranger that may have needed a hand up. A whopping total of $49,684.15 worth of newborn hats were gifted by our customers to friends and family in need. You guys are truly the BEST! Alternatively, customers could choose to DONATE a newborn hat to a new Mum and bub in need. We are so chuffed that a total of $50,315.85 worth of newborn hats have been donated to 6 wonderful charities aiding disadvantaged mothers and babies – St Kilda Mums, Dandelion, Baby Give Back, Pregnancy Assistance, Treasure Boxes and Tassie Mums. We were so happy to see our hats go to Mums and bubs in need and to be a part of starting bub’s sun-safety journey and so were you! Thank you for your support! We hope to encourage you to continue to gift new mums and bubs with our hats. A sun hat is one of the best gifts you could give to a new mum and bub to set them up for a sun-safe life!